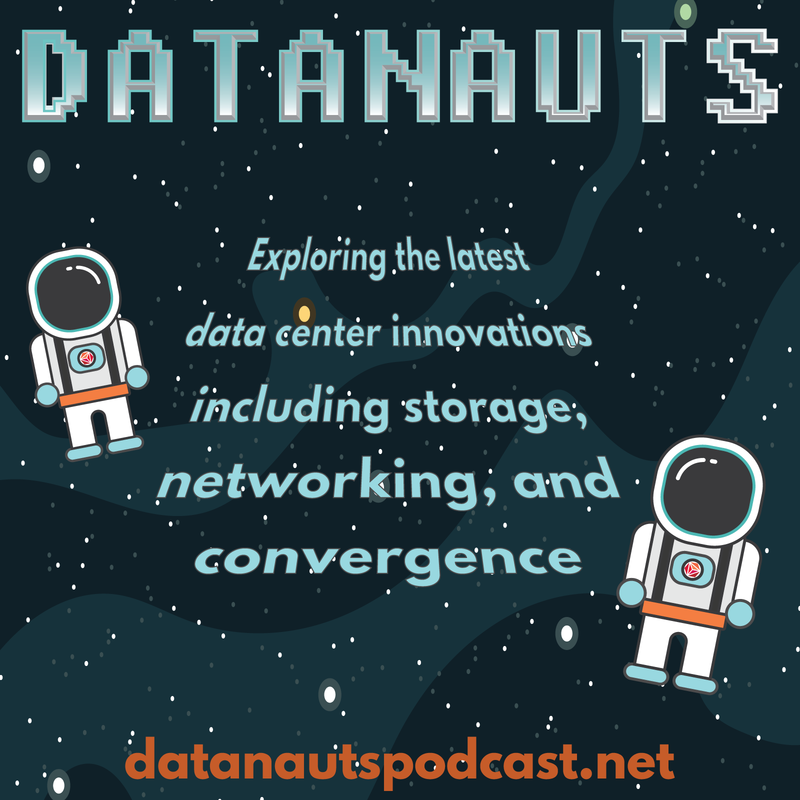 Join the Datanauts on their mission to bust silos and explore the latest developments in cloud, convergence, data centers and all things infrastructure with special guests and our expert hosts. An untested failover plan is a failover that won’t work when you need it. Therefore, test! The Datanauts talk about why, how, and what to do to get the most from a failover exercise. Today’s Datanauts episode gets into the sticky details of integrating public cloud services, particularly AWS & Azure, with a production environment. Yes, security people can be annoying and their requirements a pain, but security is also essential. Here’s how to build better, less adversarial relationships and rethink how you integrate security in the data center. Skyport Systems is sponsoring the Datanauts podcast to introduce its hardened virtualization platform to the infrastructure engineering audience. On today’s Datanauts episode we’re joined by Jason Edelman to dig into why the network has traditionally been so hard to automate, what tools are available, and how to get started. On today’s episode of Datanauts we learn about Snap, an open source telemetry framework to make collecting, processing, and publishing data center metrics modular, dynamic, and open. Snap was originally developed by Intel. The Datanauts delve into CoreOS, a lightweight, Unix-like operating system that aims to make deploying containers as simple as ordering Earl Grey tea on your food replicator. Today on Datanauts, Tony Bourke joins us to share his experiences rolling his own distribution of OpenStack. We dig into the hows, whys, and the challenges. The Datanauts discuss the career path of a technical professional to talk about how and when to update skills. They explore a few of the tools and technologies worth getting comfortable with. The Datanauts explore the network and application issues that make moving VMs from one data center to another dangerous, and share ways to enable it safely. Join the Datanauts for a ride to the land of GIFEE, or Google Infrastructure for Everyone Else. GIFEE is a combination of tools and processes to launch code and applications quickly and at scale. But is it relevant to you? Probably it is! Datanauts 027: What Is A Cloud-Native Application? What does it mean for an application to be “cloud-native”? The Datanauts and guest Tony Bourke dive into the fundamentals of applications designed to live in the cloud. On today’s Datanauts episode we talk about the VCDX, the highest certification available from VMware. Chris Wahl, who has two, shares his experiences on preparation and taking the exam. The Datanauts talk pros and cons of adopting IaaS with guest Steve Winwood, a technical architect with direct experience in IaaS usage. We talk about when IaaS makes sense vs. building your own infrastructure, considerations for choosing a provider, how cloud app deployment is different, how to understand and manage costs, and more. The Datanauts and guest Warren Frame, an infrastructure engineer, nerd out about scripting, continuous integration, and Windows PowerShell as the heart of a full-stack engineering journey. In today’s episode of Datanauts, we talk about how the modern social nerd can squeeze every last kilobyte of value from the buffet of conferences, meetups, and events available to tech professionals seeking enlightenment and peer interaction. The Datanauts dive into the wild world of IT certifications to discuss their value (both real and perceived), how the certification system works, what it gets right, and where it drives them crazy. We cover a wide variety of topics on keeping your skills sharp. Strap in, loyal listeners, as we tickle your noodle on certifications, mentoring, learning resources, and much more! The Datanauts leap into a discussion about cloud exchanges with guest Mark Thiele. They talk about what an exchange is and how it addresses common challenges such as latency. The Datanauts dive into the PowerShell and PowerCLI scripting tools. Find out how they work, why they’re useful, and how they compare to other scripting languages. Also find out why the phrase “I’m too busy to learn to script” just doesn’t make sense. The Datanauts talk about their home lab setups, including issues with location, noise, and power consumption. They also examine cloud and online options, and discuss the surprising amount of lab work you can do with just a laptop. The Datanauts beam aboard two container experts to help understand how containers compare and contrast with VMs, what workloads are a good fit, and how and where to start tinkering. The Datanauts talk with John Merline, a network architect at a Fortune 500 company. He shares his experiences moving data and applications to the cloud, working in a hybrid cloud model, implementing DevOps, and more. Datanauts 015: Modern Data Center Design: Traditional Architecture or Buy a Stack? The Datanauts get nerdy about the work needed to deploy infrastructure and software into the modern data center. What are lessons learned from building from scratch (a.k.a traditional architecture) vs. buying a converged system? Consulting seems like a dark art. Pay someone a lot of money to sell you something that is also…a lot of money. And then maybe pay them even more money to implement the solution. The Datanauts talk about how to maximize an investment in consulting.